Our new employee hiring flow makes it easy to manage adding your new employees to Collage. 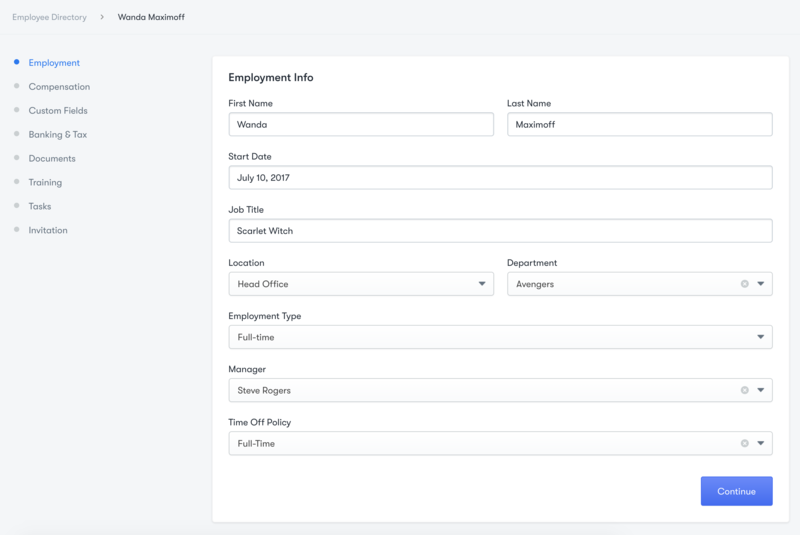 When you click "Hire" from the Employee Directory (or use our nifty global search bar), you'll be taken to a new and improved multi-step hiring flow. Only the steps relevant to the way you've set up Collage will be present and we've reorganized the way we ask for information to make it simpler and more convenient for you. The most helpful improvement of this update is that you can leave the flow at any time and finish hiring the employee later. The partially completed employee will be available in the Employee Directory with a badge indicating that they have not yet been invited. Once you're ready to invite your new hire, find your way to the last step and send out the invitation to the newest member of your team!